1 Year Subscription w/ Enterprise Support $150 per User What is Subscription? 1 Year Subscription w/ Gold Support $100 per User What is Subscription? You will be purchasing a Registration Code that you will receive via email and can use to activate the software that you can freely download from this site. If you have already downloaded and installed the software, simply use the Registration Code to activate the full functionality. Our products are licensed to use only on a single computer by one individual. If the individual alternately uses several computers (for example, a laptop and a desktop), one may install the product on up to 3 computers as long as it is never used on more than one simultaneously or by more than one individual. Minor upgrades which include bug fixes and minor improvements are free. Major upgrades may carry an upgrade fee. To eliminate the upgrade fees please consider purchasing one of our low cost Software Assurance and Support subscription options. This will guarantee future access to all upgrades and updates during the cover period. The Enterprise Edition (EE) is targeted at structured teams and Enterprises; Standard Edition primarily aimed to help individual developers and smaller teams. Feature-wise EE comes with metrics, statistics, enhanced reporting and has additional points of integration with Visual Studio Team System (VSTS). But most importantly EE provides a way to enforce the configured team standards on to the rest of the development team. While the EE is highly recommended for a team/corporate environment, it is also may be of interest to individual developers who need the additional features. Software Assurance annual subscription plan is the most cost effective and convenient way to stay current with the latest versions of our products. Gold Support subscription enables you to access private Gold Support forums monitored by SubMain staff with the response time within 24 hours (business days). 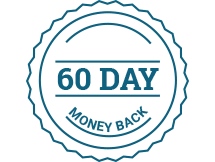 All products come with an unconditional 60-day money back guarantee.